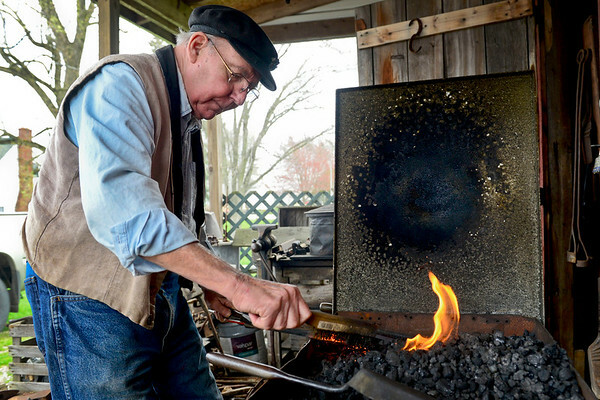 Blacksmith Jim Rubley pulls a knife from the fire at his forge Wednesday in Shipshewana. Rubley has been crafting knives for more than 50 years, and specializes in making near replicas of a knife belonging to American explorer Daniel Boone. One of his Boone knives is was given to the Smithsonian Institution.